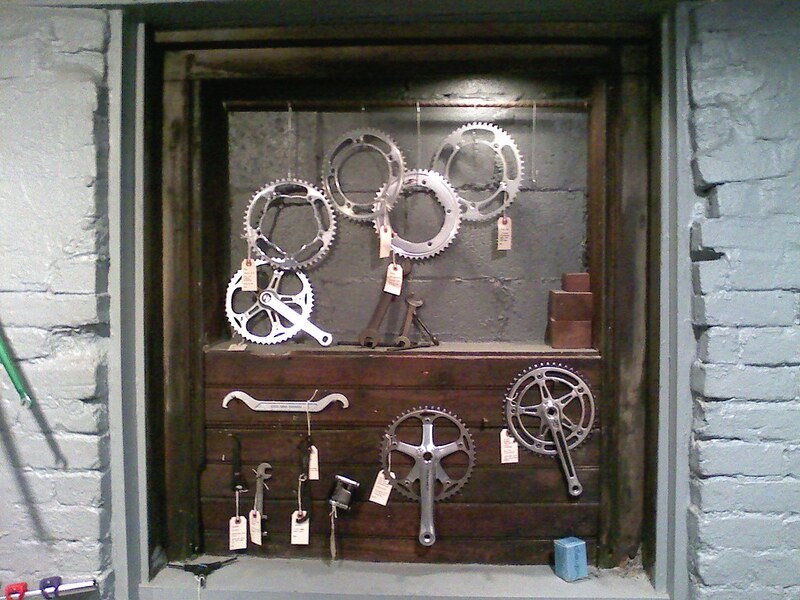 Awhile ago I took a photo of a display of cranks and chainrings inside Open Bicycle in Cambridge, MA. Recently I was contacted by someone from schmap.com who requested the use of this photo for their Boston neighborhood guide. Obviously I agreed... why would I pass up the opportunity to pretend that I have a clue what I'm doing when I take still shots? Check the photo in the upper right-hand corner of this page, and be sure to make your way to Open if you're ever in the area, it's a fantastic shop.